PVA Pole Policy: Everyone is welcome to use PVA poles, however if you break a PVA pole you are required to purchase a new pole from PVA plus shipping before you leave the session. 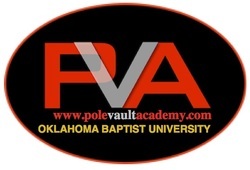 If you want to use PVA poles without worry you can buy pole insurance for $25 fee per visit in addition to the cost of the session/camp. With the insurance fee a broken pole won't cost you anything! You can always use your own poles if you prefer. Athlete session limits are per runway. If session requests exceed the per pit allowance then a second pit will be used. An additional coach will be assigned to the pit to ensure safety and quality of technical advice.